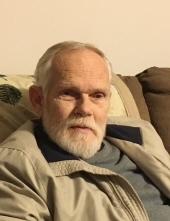 Jack Creswell, age 76, of Dalton passed away Wednesday, August 8, 2018 at Hamilton Medical Center. He was preceded in death by his parents, Marguerite and Chester Creswell; a brother, Bob Creswell; and sister, Elizabeth Hefner. Mr. Creswell was in the United States Army and served in Vietnam. He graduated from North Whitfield High School and was employed for 45 years at Tuftco. He was a loving husband, father, and papaw. Survivors include his loving wife, Sandra Keys Creswell of Dalton; two daughters and sons-in-law, Cindy and Kevin Ragsdale of Dalton, and Tara and Greg Holland of Chatsworth; two sons and daughters-in-law, John and Rebecca Creswell of Varnell, and Jack and Lisa Creswell of Tunnel Hill; sister and brother-in-law, Sara and Jeff Davis of Dalton; sister-in-law, Jaye Ann Creswell of Dalton; brother-in-law, Leonard Hefner; grandchildren, Destin Davenport, Ross Davis, Boone and Carter Creswell, Bond and Brock Ragsdale, Jack Creswell, and Krista Cordova; and nieces and nephews also survive. The funeral service will be held Saturday, Aug. 11, at 4 p.m. at the Pleasant Grove Chapel of Julian Peeples Funeral Home with Rev. Ronald Guffey officiating. Burial will follow in West Hill Cemetery. The family will receive friends at the funeral home Saturday, Aug. 11, from 1 p.m. until the funeral hour at 4 p.m.